It’s a slow grind, but this is how you can influence your representatives at all levels. While many problems can be solved by a quick online order or a change in personal behaviour, others — healthcare policy, climate change, having a pothole repaired — require political or societal action. One person can make a difference to their everyday life but can one person advance social change? The answer is no — at least, not completely on their own. Giving up your bottled water will do nothing to slow climate change, nor will giving generously to the homeless alleviate poverty. While individual actions may make a local difference (you can help an individual in need), what's required is to get everyone, or at least lots of people, to give up bottled water and everyone to commit resources to fighting poverty. In other words, major social problems are best solved by collective action. According to Chi Nguyen, director of social innovation Social Innovation Canada, solo attempts to bring about larger positive social change are almost sure to fail, and are also likely to cause the individual fighting for change to burn out. Our governments are the most powerful agents of social change that most of us will deal with. So one way to help contribute to the causes that you care about is to try to get your representatives to do something about it. Whether you're concerned with improving public education or reducing crime, our municipal, provincial and federal governments hold the power to move things forward. To find out more about how we might influence our public representatives, I spoke with Nguyen, who has worked in public consultation, as a staffer on Parliament Hill and for charities such as United Way. Here's her advice about how we can effectively influence the powers that be. Your elected or appointed representatives won't know what you want unless you tell them what you want. But who you contact matters. While it's most important to reach out to the representative of the level of government that's actually responsible for the issue you're concerned with (i.e., municipal for road safety issues, provincial for healthcare, federal for national security), Nguyen recommends contacting all three levels of government. "They're all connected, and the more eyeballs on your issue, the better," she says. This isn't to say that the Prime Minister is going to come fix the potholes on your street, but party members at all levels of government like to have an idea of what's on their constituents' minds. The way you contact your representatives also matters. "Twenty years ago when I worked on the Hill, the way we thought about a letter we got by snail mail was that it represented the views of at least 100 people. And an email counted as one to five," says Nguyen. Of course, she tells me that this will likely have changed over time and will vary from office to office. Ottawa public policy organization Citizens for Public Justice says that letters and emails count the same, but that phone calls can be more influential. On the other hand, the National Health Products Protection Association (NHPPA) says that a written letter can be ten times more powerful than an email. Nguyen adds that even social media posts can be effective in shaping politicians' views on public opinion if there are enough of them. Nguyen warned me that no matter who you contact or how you choose to contact them, there's a good chance your issue won't be resolved, and you probably won't even receive a personalized response. However, this doesn't mean it's not worth doing: "They're taking running tallies [of complaints]. Even if it doesn't feel like you're getting a resolution, your letter is getting counted." Petitions, even online, work to shape politicians' views of public opinion. It's not that signing a petition will ensure that you get your way, but if enough people add their name, the powers that be will usually take notice and take the issue into account. For example, Nguyen pointed to recent petitions against the Ford government's decisions regarding sexual education in Ontario as one petition campaign that was effective in showing the government that it's something that people care about. Protests tend to work similarly. While even the most well-attended public demonstrations seldom result in immediate political change, they can put an issue on politicians' radar. If enough people are angry, politicians will remember the next time elections roll around. Nguyen also believes that participating in public demonstrations can contribute to social change even if the government doesn't act. Protests don't just send an important message of resistance to our representatives, they also send a message of solidarity to other protesters and to anyone sympathetic to the protest's aims. It tells people that they're not alone. "There's an incredible power in being part of a collective," Nguyen says. "When you get a community to come out in solidarity, it can give people lift and energy to continue doing the long-term advocacy work that leads to real change." 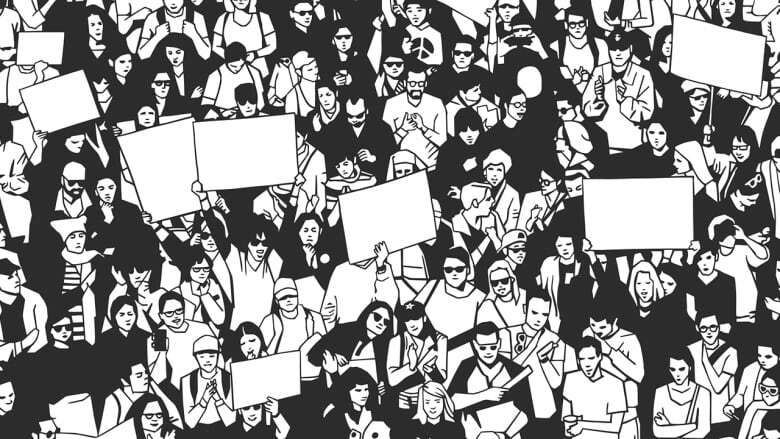 For those interested in social change, a protest can also be like a combined meeting and networking event, where people with similar aims and values can form connections for future action. Lobbying the government, like any long and difficult task, is easier to tackle as a group. Not only is working with others easier emotionally, but it's also more effective. Nguyen told me to "join a party of people who also care because, otherwise, it's a lonely road!" Representatives of organized groups also tend to be taken more seriously than lone individuals. This is true even of groups that are not organized for specifically political purposes. Join your neighbourhood association, parents' council or labour union, and your ability to influence the government will increase. As Nguyen put it, "the idea of doing this in community is about making sure that you amplify your efforts." While governments are very powerful, they move very slowly. According to Nguyen, lobbying governments to do better can also be frustrating. "Wins are few, incremental and only come at an extreme cost in terms of persistence and effort," she cautions. Even federal ministers can work for years without passing the legislation they want, so individual citizens shouldn't expect fast results. Getting the government to do the right thing isn't easy, and it isn't always fun. But with co-operation and determination, it can be done. That's why putting in this work is so important. Even if you don't see immediate results, says Nguyen, "it's always worth it. That's my two cents."